You can see their full Twitter thread here confirming this. 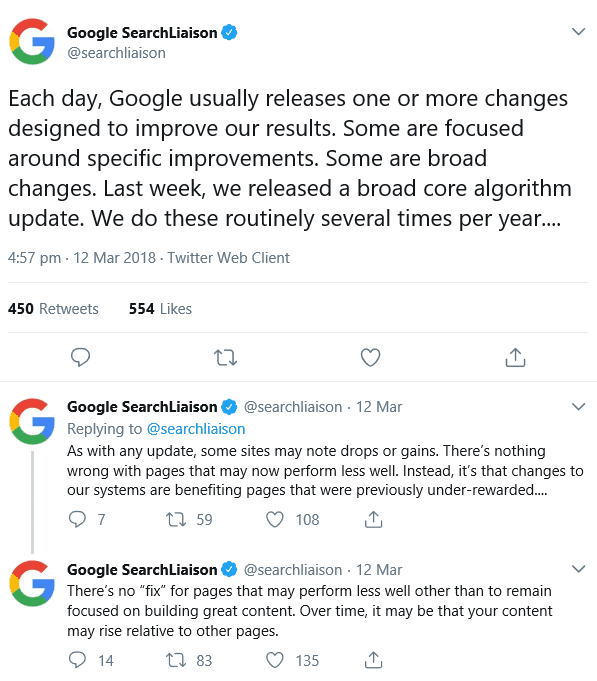 Unlike other yearly refreshes they mention though, this update was greeted with a few raised eyebrows, as a few days before Google made significant changes to their Google Quality Rater Guidelines for the first time in a year. Naturally, webmasters linked these guideline revisions to this August update. While this 164-page resource doesn’t influence rankings directly, the ideas and guidelines they outline are a big signal of how Google considers certain topics and their quality. One of the most noticeable amendments in the Google Quality Rater Guidelines document relates to E-A-T and YMYL, but what do these acronyms mean? Google’s revised search quality rating guidelines make constant mention of expertise, authority and trust (EAT) as a signifier of high-quality content. It’s clear that following the guideline changes, Google wants to serve only the most accurate and most respected content possible around serious and important searches. The Google Quality Rater Guidelines now defines “Your Money or Your Life” as pages that “could potentially impact the future happiness, health, financial stability, or safety of users”. This is important to Google as “low-quality YMYL pages could potentially negatively impact users’ happiness, health, financial stability, or safety”. 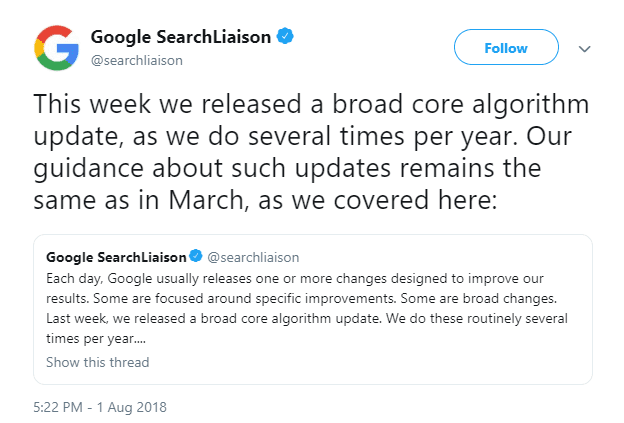 This mirrors the updates to the EAT guidelines and again shows that Google wants correct and trustworthy results around life affecting queries. “Shopping or financial transaction pages: webpages that allow users to make purchases, transfer money, pay bills, etc. online (such as online stores and online banking pages). Now we have identified the major guideline changes, but who is reviewing websites on things like E-A-T and YMYL? What is a Google search quality rater? “Google contracts with over 10,000 search quality raters worldwide to evaluate its search results. 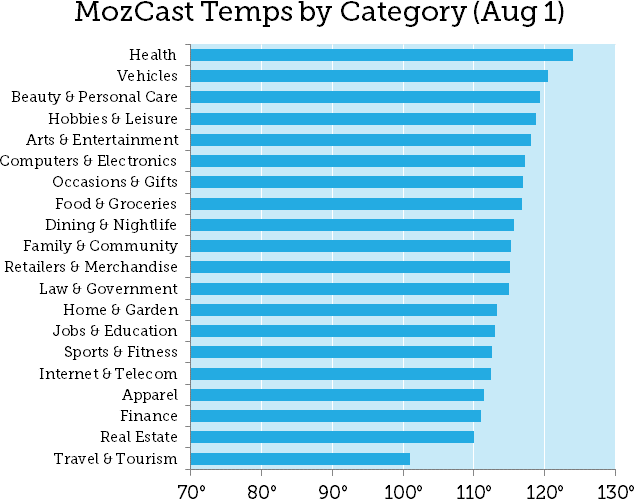 These Search Quality Raters are tasked with reviewing dozens of websites per month and were likely an integral component of the August update that focused on E-A-T and YMYL. 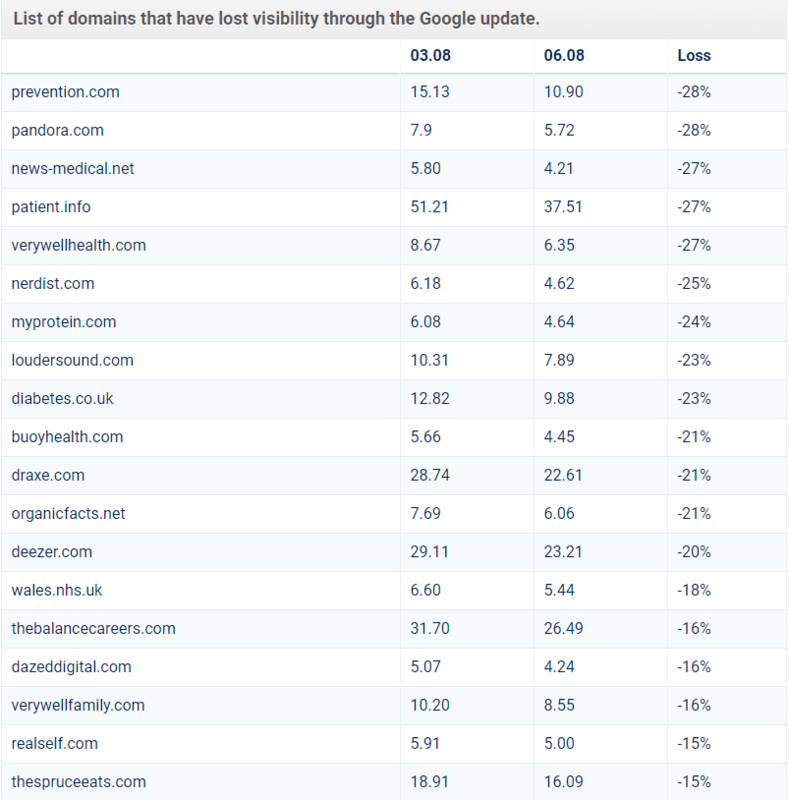 We can see a clear correlation between the type of sites affected and the updated guidelines in the Google Quality Rater resource. For example, there was clear instruction within the guidelines on what to look for when assessing medical content. Therefore, it’s unsurprising that a few days after this guideline was revised, the performance of several medic sites was affected. 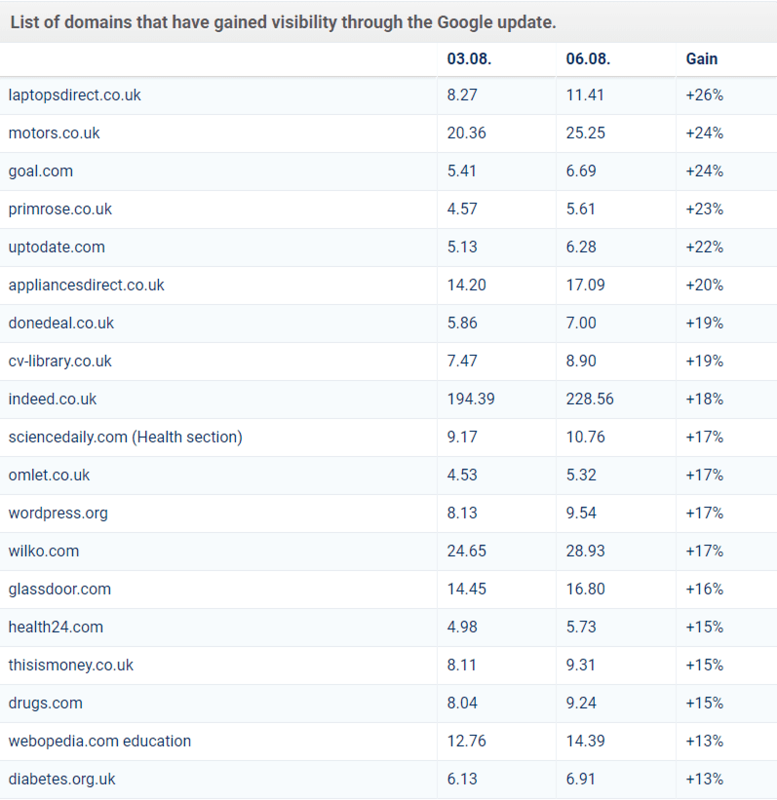 As with most Google algorithm updates, the details on how to recover from any drops are very vague. What did I tell you, vague, right? While Google may not be forthcoming when providing explicit recovery details, there are several steps in the right direction that you can take when looking to increase your E-A-T and improve YMYL pages. We have listed a handful of these recommendations below, but if you would like a full review of your website, speak to one of our SEO team. I know I know; it’s obvious. But the message from Google is loud and clear; quality content is key to establishing E-A-T.
Google’s revised rater guidelines specifically say “advice or information should be written or produced in a professional style and should be edited, reviewed, and updated on a regular basis”. Is your content out of date? Is your writer a professional in the area? Is what you say recognised as fact? Can you cite other recognised sources to substantiate your content? If your content fails to meet the above, then it will likely to suffer following the E-A-T/YMYL update. As highlighted in the rater guidelines, if you can illustrate that you are the expert voice in your field, Google is likely to reward your site. Fully researched “How to” articles and FAQ sections are great ways to answer those big YMYL questions with your clear and impartial answers. Every article on your site should have an author bio that boasts about how knowledgeable that writer is on the subject. While medical content is not applicable to everyone, if your writers have qualifications or recognition in this industry, make it known! It’s unconfirmed the part reviews play around the E-A-T update. However, you can’t deny how important they are from a user perspective. How many times have you scrolled straight to the user reviews section on an Amazon product? Or bounced from a website you aren’t familiar with when you see a negative review score? You should take time going through your review scores, identify service or product complaints and fix them! Your customer opinions and E-A-T score should improve as a result. These are just a handful of recommendations to get you started. If you were hit by the August algorithm update and want to have a chat, set us a challenge and we’ll impart more of our SEO wisdom. David is our SEO Campaign Manager. He wastes his time and money on computer games, says his mum, who he hasn't lived with since 2016.